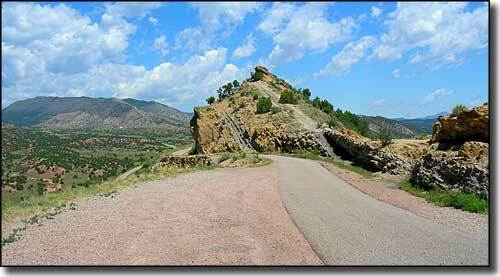 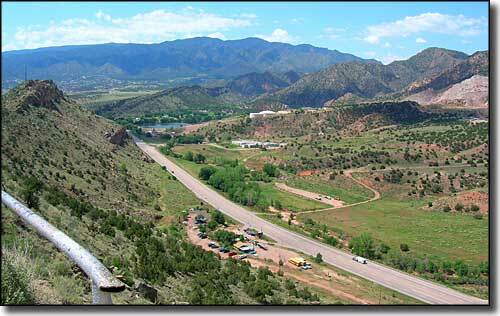 Skyline Drive was built back in the 1930's with the use of prison labor from the Colorado Penitentiary. 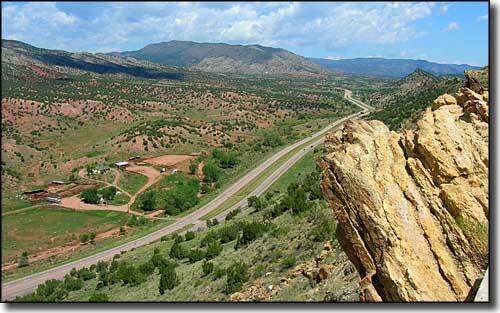 This is a one-way route that heads southeast from US Highway 50 (northwest of Canon City) up the side of the hogback until you gain the ridgetop. 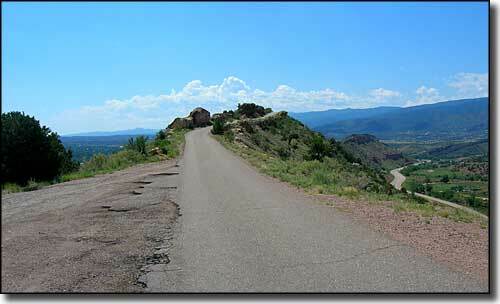 From there, the road travels along that very narrow ridgetop for several miles before reaching the end of the ridge. 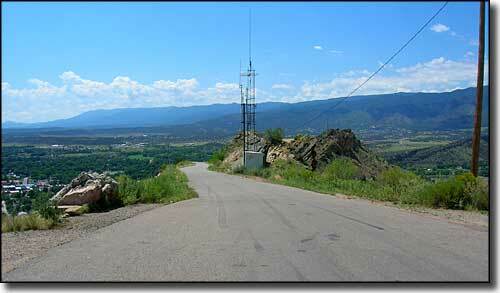 At that point, the road turns a hairpin curve and descends on a long traverse down the eastern side of the hogback. 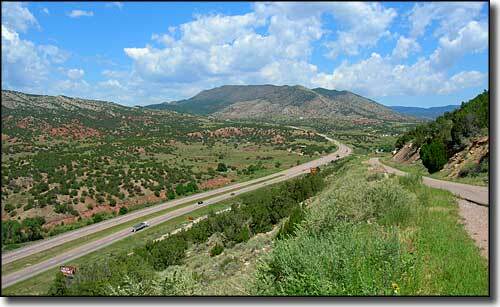 There are several pullouts and parking areas along the way so you can get out and enjoy the views safely (wouldn't want to be looking at those views and not paying attention to the road, now would we?) 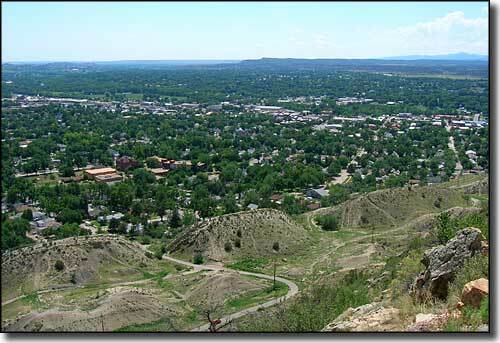 The hogback itself is composed of hardened layers of sandstone that were turned up sometime during the more recent mountain-building days in this part of Colorado: somewhere between 25 and 65 million years ago.